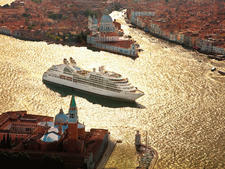 In the Seabourn family, the 458-passenger Seabourn Quest stands out as the adventurous triplet. Though its layout and luxurious amenities are nearly identical to its two Odyssey-class sisters, it's the only ship in the fleet that's ice-rated. Instead of chasing the sun, Quest chases the cold -- cruising Antarctica in the North American winter and Northern Europe in the summer. 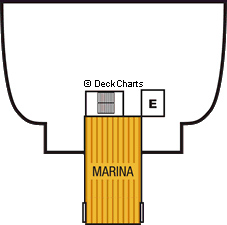 This means that its beautiful pool and deck areas often go unused, and its aft marina no longer carries water toys for passenger play. The popular place to be onboard is wherever the best view is -- often the Observation Bar or its forward deck -- and the line's stash of warm throw blankets are greatly appreciated. 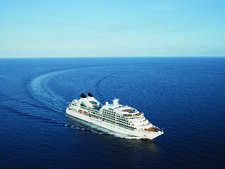 Other than these small differences, Seabourn Quest offers the same upscale cruising experience as its sun-seeking sisters. The ship's inclusive fares (covering tips and drinks) and small size makes for a stress-free sailing -- no need to constantly sign chits, worry about who's buying drinks or wait in line. While service isn't always intuitive, the crew does try hard to make your cruise the best ever. That might mean creating an exclusive menu of your choosing in The Restaurant one night, helping you find the perfect wine or tailoring a fitness class to your needs. But you have to ask. In our experience, the crew is always friendly but they won't remember how you like your morning tea and sometimes they'll take too long to take your order or refill your glass. Dining is a decadent affair, and Seabourn doesn't skimp on ingredients. Fresh berries at breakfast, caviar anywhere and anytime you want it and huge portions of steak -- even a partnership with top chef Thomas Keller -- shows that this cruise ship takes good food seriously. We did wish the menus had more choice and the restaurants open a bit longer, but perhaps by limiting options, a small ship can better guarantee excellent results. Omnivores will love it; travelers with dietary restrictions and picky eaters might want to talk options with the dining team on embarkation day. Entertainment is both a highlight and a lowlight on this cruise. The line's partnership with renowned lyricist Tim Rice has changed casting requirements for onboard singers for the better, and the ship's song-and-dance revues are fun to watch. The jazz trio and dance band who perform in the club are memorable and fun, rather than forgettable background noise. Yet the guest performers on our sailing did not live up to the onboard talent, and were surprisingly amateurish for a ship that attracts a cultured clientele. Ultimately, the onboard experience will play second to the destination on Quest. Passengers choose these itineraries because they want to experience bucket-list destinations like Antarctica, the Arctic or the Amazon. 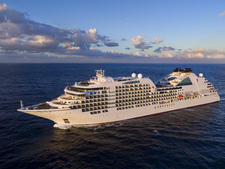 But they choose to travel to those places on Seabourn because they know they will be treated well, they will dine well, they will sleep in comfortable beds in spacious cabins and they don't have to bother with the hassles that would mar the total enjoyment of their vacation. Quest's passengers are well-heeled, well-traveled and mostly older than 50. The mix is about 60 percent North American and 40 percent European/Australian. Summer sailings attract some families -- either parents or grandparents traveling with children. Kids onboard are generally well behaved and the types to enjoy trivia, afternoon tea and shuffleboard (or water play when the weather is nice). The line is also very gay-friendly, and we saw many gay couples onboard. The itinerary has great influence over the passengers onboard; long Antarctica sailings will skew older, while fjords cruises might attract more outdoorsy travelers. Cruise Critic’s professional photographers and our extraordinary community members have taken 2,677 pictures of Seabourn Quest. When you visit our photo galleries, you can be assured that what you see is what you get. At night, Seabourn has elegant casual and formal evenings, though most cruises under two weeks long have only one formal night. Formal attire includes a tuxedo (white or black jacket), suit or slacks (jacket required) for men and evening gown, cocktail dress or fancy separates for women. Elegant casual attire includes slacks with a collared dress shirt or sweater (jacket optional) for men and skirt or slacks with a cute or stylish top or dress for women. In Europe, at least, people dressed on the nicer end of this spectrum; for example, men wore button-down shirts, at least half in jackets, rather than collared shirts. Seabourn includes all gratuities (including at the spa), most drinks (alcohol, soda, water, coffee -- all but the highest-end liquors and wines) and self-serve laundry. 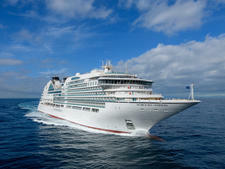 You will pay extra for airfare and transfers, pre-cruise hotel stays, spa treatments, internet and shore excursions. There is no need to leave an additional tip for Seabourn's generally first-rate service; however, you might want to tip specific crew members who go above and beyond (such as assisting you with a private party in your suite). If you wish to express your gratitude to the general crew, make a donation to the crew fund at guest services.